Happy Wednesday! Day three of your week long holiday card inspiration is here! This card features a fun technique called the Starburst Technique. This is a great way to use up some of the designer series paper you have! I kept this card pretty simple aside from the starburst technique. 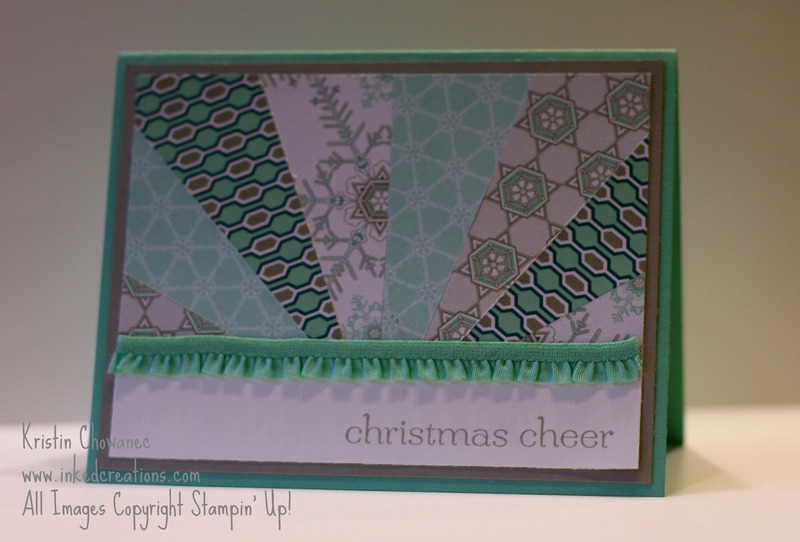 The paper is from the Winter Frost Designer Series Stack. I can’t even count how many cards I’ve made with this little stack of paper and I still have paper left!! It’s a great value! So grab yourself some designer series paper and get started with this fun technique!